As everyone knows, today is Halloween. To be honest, I'm really not a fan of the holiday. I do, however, LOVE a good costume... I just prefer the kind that remind me of my favorite books or time periods in the past. So, I thought it would be a little fun to join in today's festivities by highlighting my favorite costume dramas (in rank order!). I'm sorry it's such a long and picture-heavy post, but I don't know how to talk about these movies without including photographic teasers to tempt you to watch them! Based on the Dickens novel of the same name, this mini-series definitely takes a little time to get into. It's got all the makings of classic Dickens: an intricate story, a large cast of characters and the slow build-up to the dramatic conclusion. It even got my mister's stamp of approval! So, I have a huge crush on Eddie Redmayne. He was the main reason I wanted to see Les Miserables, and I was really excited when I learned that he starred in this adaptation of the classic WWI novel by Sebastian Faulks. It's definitely more graphic than a typical costume drama, but I still really enjoyed this movie. Even though I knew how this movie was going to end, I was still in tears as the movie wrapped up. I read the novel in high school and didn't love it, but this mini-series version makes me want to revisit the story now that some years have passed. Now that I think about it, I should move this one closer to the front of the list. I read this book in college and enjoyed it, even if I did think it read like a less sparkling version of Austen's Pride and Prejudice. That being said, this is a delightful costume drama that (like the movie mentioned previously) makes me want to revisit the book. There is some major slow burn in this one! 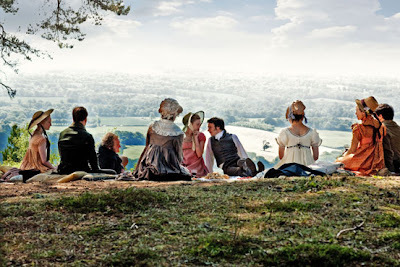 I think this is an Austen movie that isn't necessarily a fan favorite, but I really loved it. This was one that I watched before I read the book, and I immediately knew that I had to read the book when it was over. If it was that fun and witty on screen, I could only imagine how much better it'd be on the page. I dragged my mom and sister to a special movie theater to see this one when it released since it wasn't going to be in a theater anywhere close to us. They were kind enough to oblige, and I wasn't disappointed. This is one of those real life romances that just makes me love learning about history! Emma Thompson, Kate Winslet, Alan Rickman, Hugh Grant... First of all, this movie obviously has an absolutely brilliant cast. I felt the emotion in this movie in a way that I'd missed when I first read the book as a teen. I love turning this one on when it's cold and rainy outside! 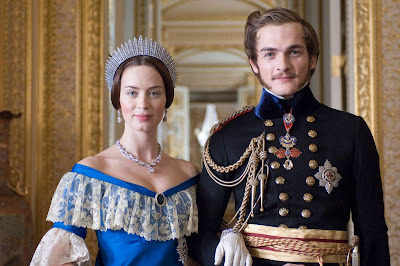 As I mentioned in my side note at the beginning of this post, I don't always care about historical accuracy or faithfulness to a book when it comes to costume dramas. This is a perfect example of that fact. I know this is wildly speculative and not really accurate, but I just don't care. I love this movie! Okay, so Romola Garai's mannerisms annoy me a bit in this version, especially in the very beginning episode. However, there are so many other things to love about this production, and she does calm down as the show goes on. I think I'm due for a rewatch of this one soon! 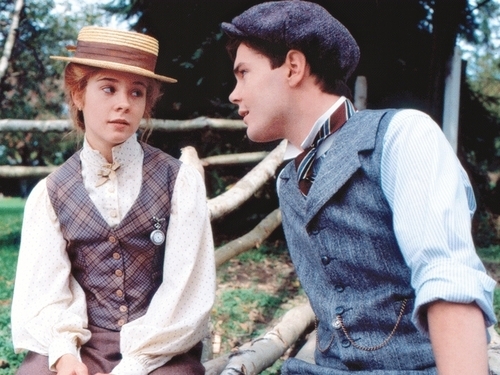 I think this was one of my earliest costume drama obsessions. I remember being absolutely horrified that Jo didn't end up with Laurie! Yes, I watched this one before I read the book. Either way, there's something so comforting and nostalgic about this movie. That definitely makes it a favorite for me! Not everyone loves this version, and I get that. 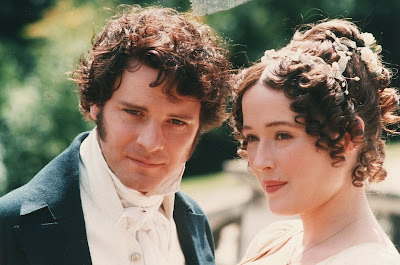 As an adaptation of Pride and Prejudice, it's not that faithful. But as a costume drama and period piece? OH BOY. I absolutely cannot get enough of this movie. I just convinced my mister that I NEEDED the Blu-Ray version because it was clearly superior to my much-loved and (I argued) practically worn-out DVD. Can't fault that logic! 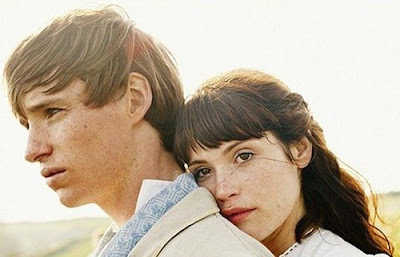 Oh, Anne and Gilbert. You two will be the death of me! All the drama, all the banter, all the feelings. I fell for these two as far back as elementary school, and I was positively thrilled when I discovered the mini-series. I remember begging my sister to watch it with me, and I was so shocked when she said it was boring. NO WAY, SISTER. Look, I don't know why more people haven't seen and fallen absolutely head over heels in love with this movie. 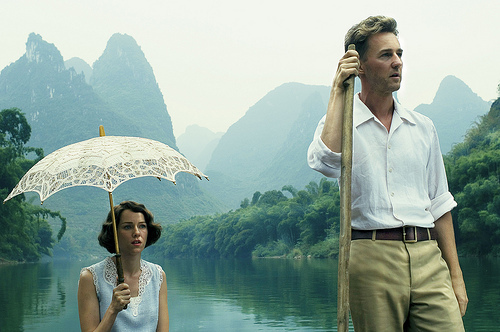 The setting is gorgeous, the score is beautiful, and the acting is superb. Not to mention the heartbreaking story! It is quiet, slow, intimate and packs an emotional punch. This should be no surprise to anyone who knows me! If you can stick it out for six hours, I promise this mini-series is worth it. There's a reason this version is often credited as the catalyst that led to the Jane Austen craze! People loved her before this mini-series, but this is what took the Janeite fandom to new heights. 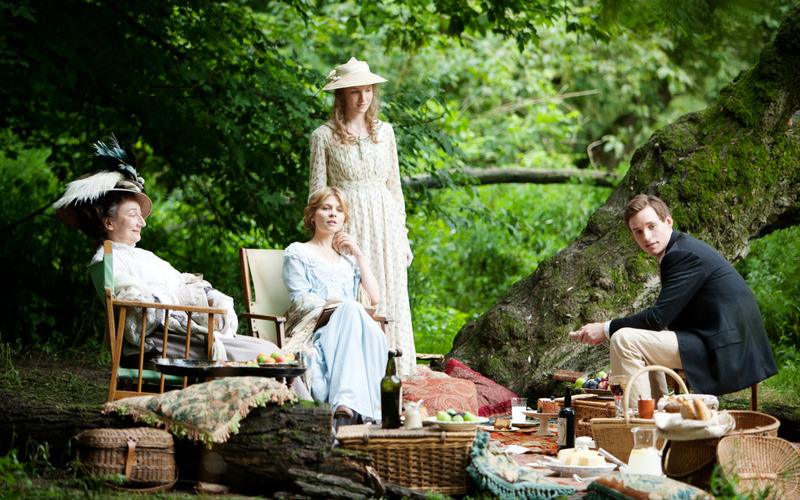 I can think of SO many more costume dramas that I didn't include! I struggled so much to narrow it down to just fifteen. So, tell me, do you love any of these movies? And which ones did I forget? I LOVE costume dramas! Great list. I've seen most of your choices and enjoyed them as well, especially Sense and Sensibility, Little Women, and the Pride and Prejudices. Some other my favorites of mine are Marie Antoinette, Downton Abbey, The Paradise (this is a new one), the ITV Northanger Abbey (2007), Gosford Park, The Tudors, Ever After, A Little Princess, The Prestige, and Finding Neverland. I didn't even think about Finding Neverland, but that's also a great pick. I haven't seen the others, but I'm off to add them to my "To Watch" list now! Great list!!!! So many of my favs too. 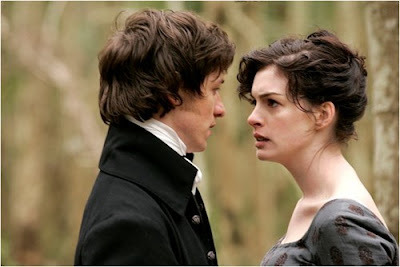 But my fav that I totalllly love is Becoming Jane. 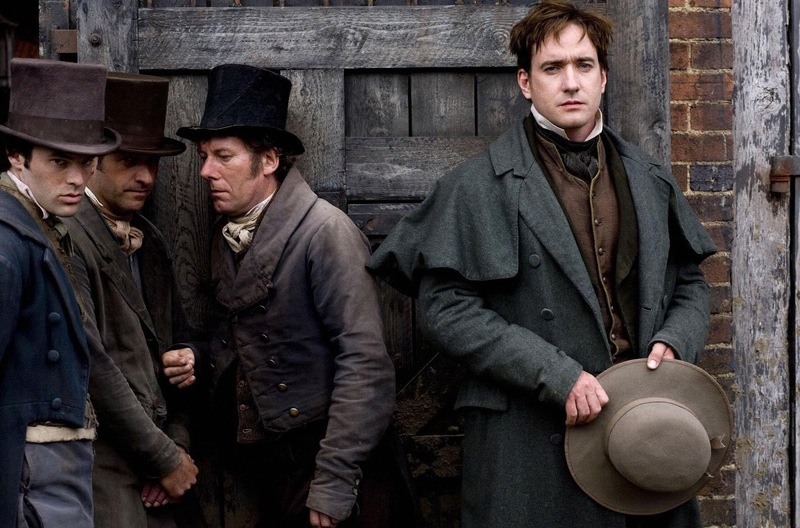 The only one of my absolute favorites that is not in the list is the adaptation of Dickens' Our Mutual Friend. I'm with you on The Painted Veil. I read the book after watching the movie, thought it was going to be even better, but it was a disappointment. Yes, sometimes the movie is better than the book! Oh I haven't seen Our Mutual Friend! Adding it to my list now :) And yes, The Painted Veil movie was surprisingly better than the book. It's one of the few instances where I've felt that way. Such a lovely and gorgeous movie! I love these movies. 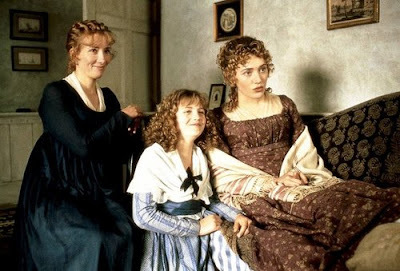 Sense & Sensibility, Pride & Prejudice 2005, Anne, North & South :D It surprises me that there is no Jane Eyre! I know! I debated including a Jane Eyre - I own the two most recent movie adaptations. But I just never find myself gravitating towards watching them because they're more bleak and somber, so I figured I'd stick with movies that I want to watch again and again. I do still love the story and the movie versions I've seen, however. Oh my god. THIS IS THE LIST OF MY HEART. I seriously have loved EVERY movie on this list that I've seen - which is most of them haha. And I've seen The Painted Veil! I hate watching things that make me bawl my eyes out...but this one has definitely been rewatched. And that soundtrack! I binged and bought this and Memoirs of a Geisha in one go haha. I've not seen Tess...I think my love for Eddie Redmayne (SWOON!!! He's the only reason I watched Les Mis haha. Also his mouth. I don't know why BUT I CAN'T STOP LOOKING AT IT.) may win out over my hatred for Tess. That book is seriously on my extremely short list of like 5 books that I will hate until the end of time. Hahaha! YES. I was hoping someone would read this and be like UM YES TO ALL THESE MOVIES. :) I'm really excited that you've seen The Painted Veil. That movie just made me fall in love and also simultaneously broke my heart. I just adore the soundtrack, too! I saw Memoirs of a Geisha years ago, but I need to buy it and watch it again. I think I'd appreciate it more now that I've read the book. Hahah! Of course we are still friends :) And no shame - just now you've got to remedy this problem and watch these lovely movies. You've got lots of brooding looks and gorgeous outfits ahead of you! Hope you enjoy if you end up watching any of these! This post is so much fun! 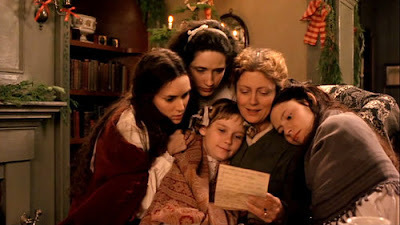 I think my favorites on your list have got to be Becoming Jane (which I loved despite the fact it might just be speculative as opposed to historical) and Little Women (which I was seriously obsessed with). Oh, and Anne, of course! We must NEVER forget Anne! Your list here essentially functions now as a to-watch list for me. I like to think that I love period dramas, but considering how few I've seen on your list, perhaps I'm not as well-versed as I should be on this topic! Some of these I think I want to read first (North and South, Tess of the d'Ubervilles, Anne of Green Gables), but I do think all of these films sound awesome. I'm so happy that I've ended up giving you some movies to watch! I love these so much and definitely recommend them all. Hope you enjoy them! And I agree on reading the book before seeing the movie. I surprisingly preferred the Tess mini-series over the book, but I read the book in high school so I've always wondered if I'd appreciate it more now.